Who is ready to row along with us starting next month!? I can’t wait, we are going to have so much fun. 1. 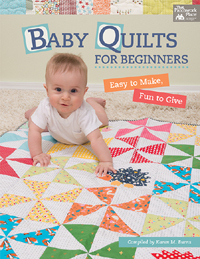 First of all, you need to know a few quilting basics, but you definitely do not need to be an expert! 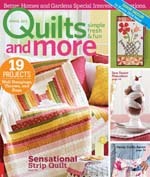 This will be beginner friendly , as long as you are excited to make the quilt and willing to learn, you can do it. Remember, you will have a whole month to complete each row and we will be here to answer questions and help you. 2. 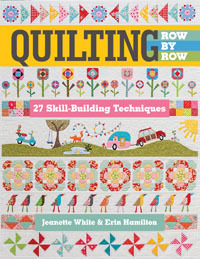 For the patterns you will need a copy of the Quilting Row by Row book. You can purchase this as a paperback or an e-book, whatever you prefer, from many places online, from us or really the best place to get a copy is your favorite local quilt shop. 3. 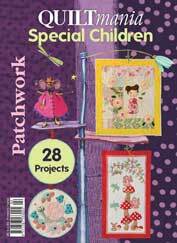 You will need your trusty machine, and the basic tools such as thread, rotary cutter, a mat, ruler, pin, pincushion, iron ect ( and speaking of pincushions, if you love the one pictured in the book ,it will be a free pattern on our blog later this week). There is also a tool we use every day, one of our faves that we have noticed many quilters are not using. It is an awl. If you don’t already have one, we suggest getting it, we will show you its many, many uses once we get going (we promise, you will thank us later for this suggestion!). There is more info on tools in the book and as we get further along, we may suggest some specific tools and threads for certain rows. 4. So now lets get to the fun stuff, the fabrics! You will need a white fabric for your background and sashing. We suggest purchasing this all at one time, to ensure you have the same fabric throughout. We used Riley Blake’s solid white, but any other solid that you love will be great. You need 4 yards, and that has a little extra built in for mistakes ( we all make those, right?). Next, can you say Fat Quarters? Gather lots and lots of fat quarters, from your stash, from a shop, wherever ( I am willing to bet many of you already have exactly what you need, because if were being honest here, most of us have a little too much fabric on hand that we need to use up). 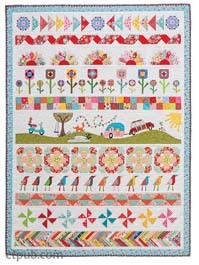 One of the best parts of this quilt in my opinion is how scrappy it is. We mixed fabrics from many collections and different companies, and it looks great. You can also add some fat eighths to have even more variety, our kit is a mixture of Fat Quarters & Eighths. You will need a total of 36 Fats in an array of colors, with at least 6 of them in greens. There are a few rows, that require specific yardage that is a little more than a fat, these are listed in the book, but mostly its about the FATS! We used a variety of prints, really heavy on basics like dots and make sure you have a solid in practically every color you incorporate. If you want to splurge and make it really easy on yourself, we have a few kits left all hand picked by us to look just like our quilt. So now we have what we need to get started. We are ready to, right? One last suggestion, spend a little time and read through the Introduction and Getting Started chapters of the book. We think you will learn a few new things and it will give you a clear idea of all of the basics on the project ahead. We will be kicking off the first row the first Thursday in January. P.S. 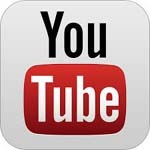 Follow our blog or any of our social media so we can notify you when each months post is up. P.P.S. We have also created a Facebook Group, for everyone participating in the Row Along, click this link and press join and we will make sure you are added. This will be a great place for you to post questions, and share your pretty pics each month. Plus we will have a few special giveaways only for this group.